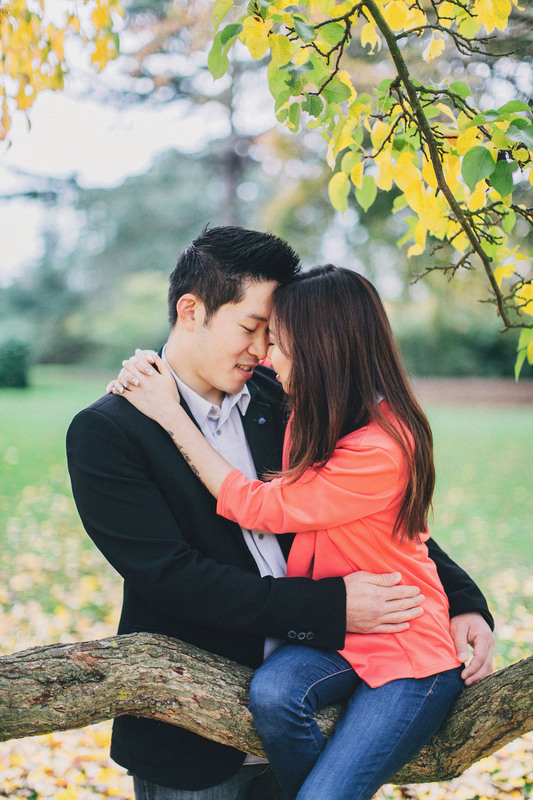 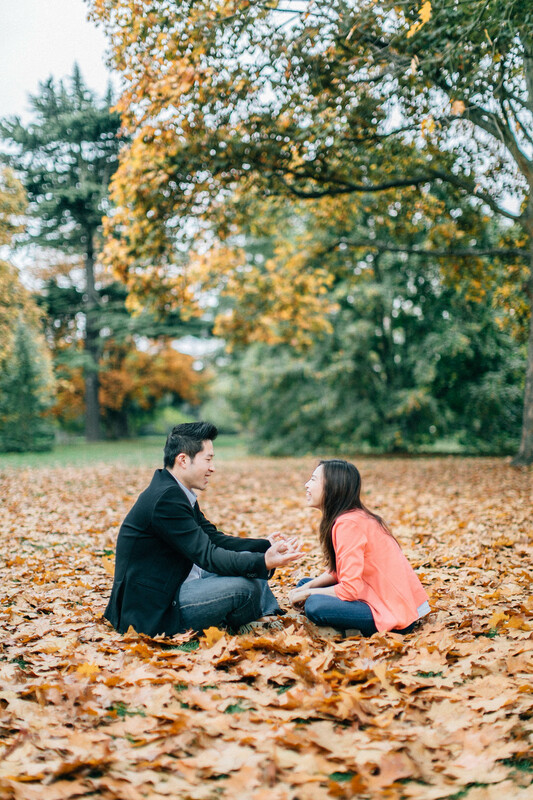 This engagement took place during the Fall season, which I think has a rather short window of opportunity in this country before it becomes too wet to shoot or the leaves start to wither beyond a stage when they are most aesthetically pleasing. 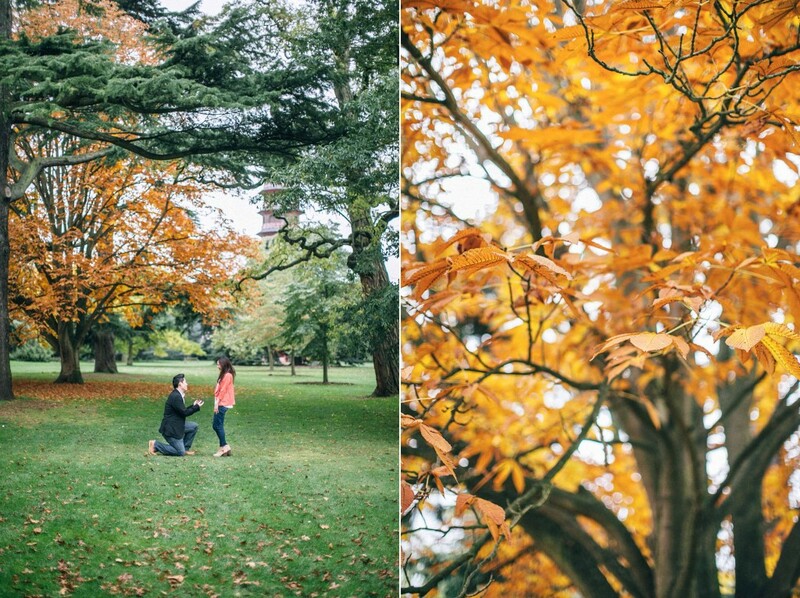 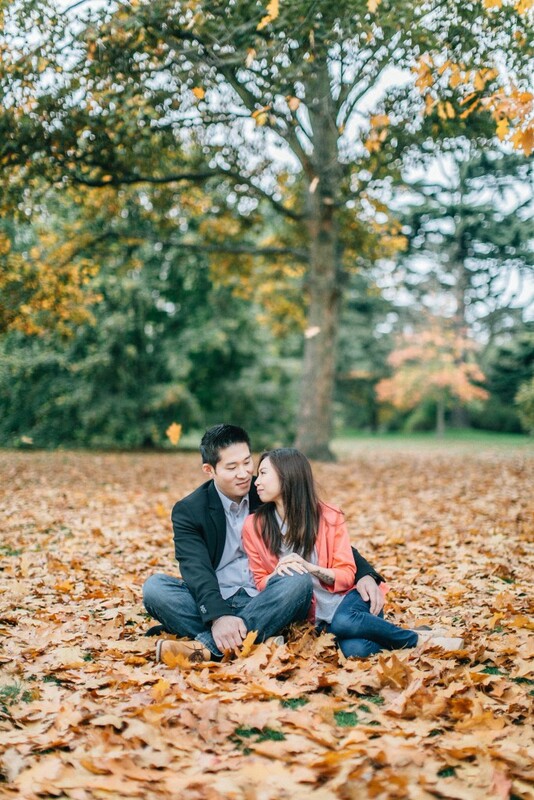 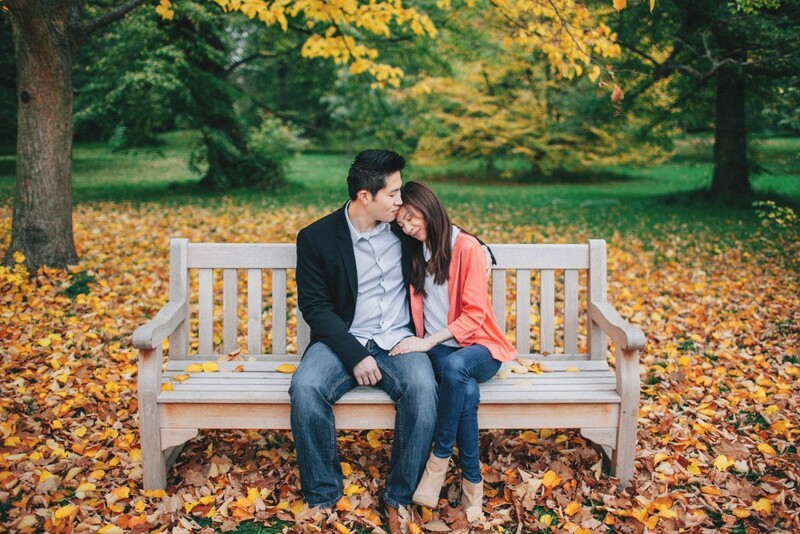 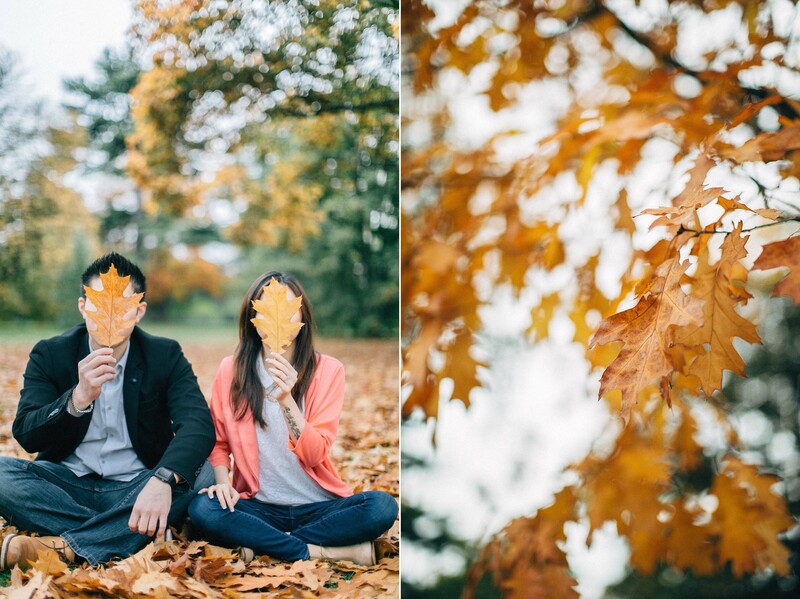 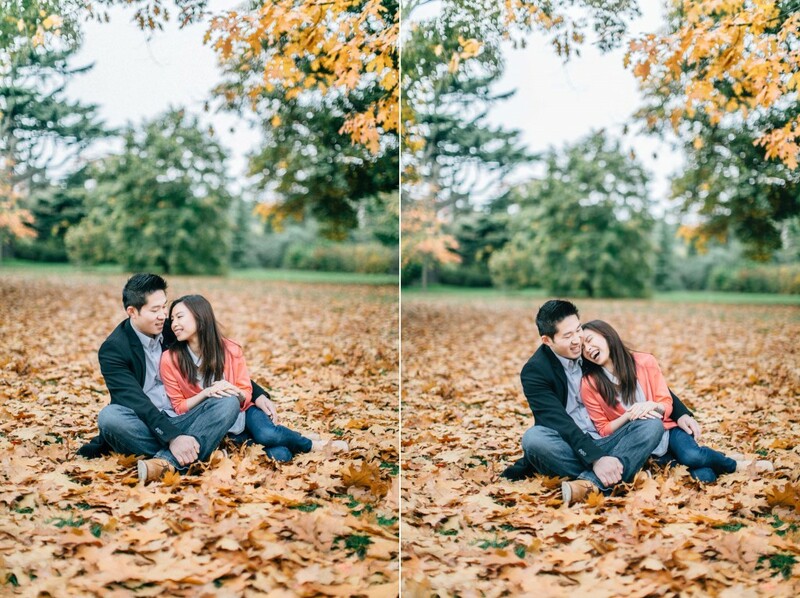 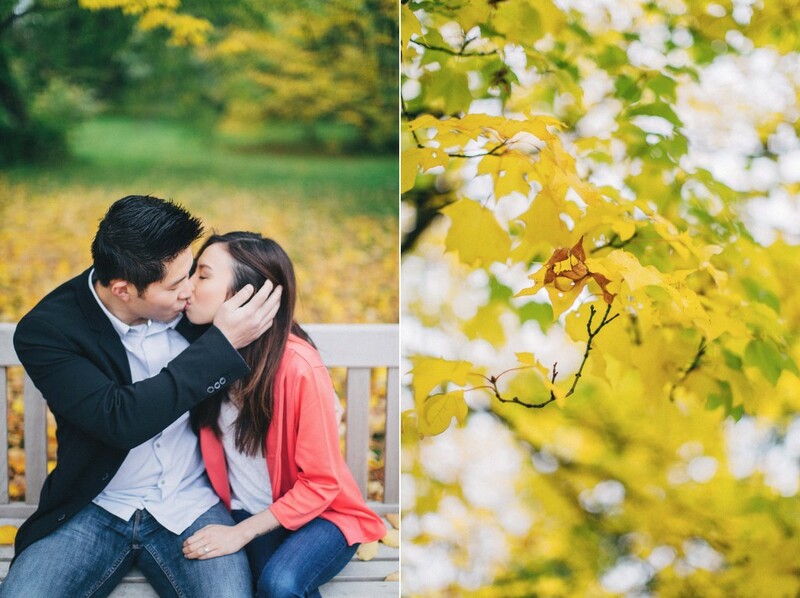 Katie and William are due to get married in 2016, but took this opportunity to catch the Fall colours. 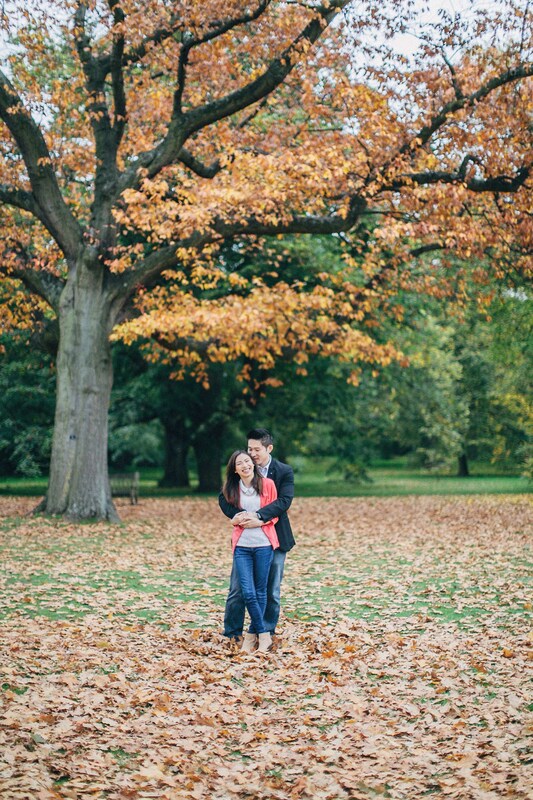 Whilst I think England naturally lacks the splendour of the Autumn that East Coast America and Japan possess, the Royal Botanical Gardens at Kew Gardens possess a variety of trees from all over the world. 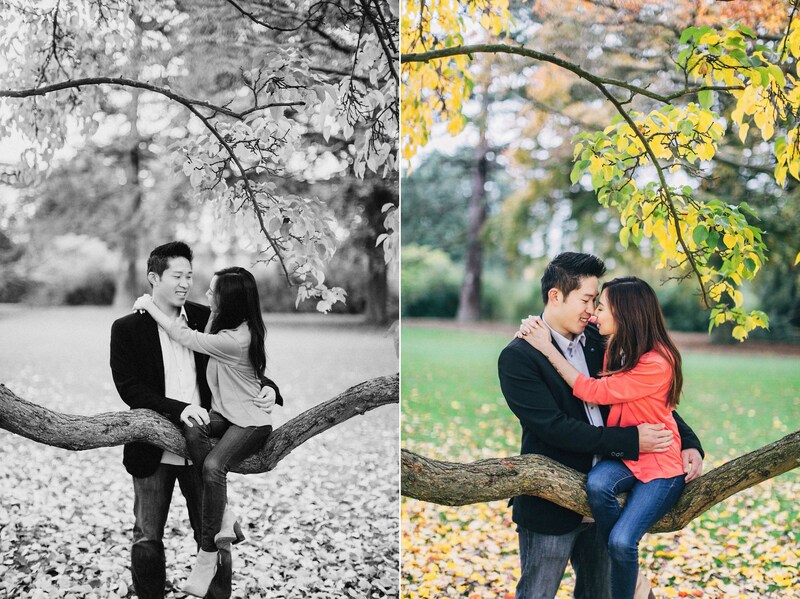 Various people have asked me how I get people to pose, and I really don’t like that word. 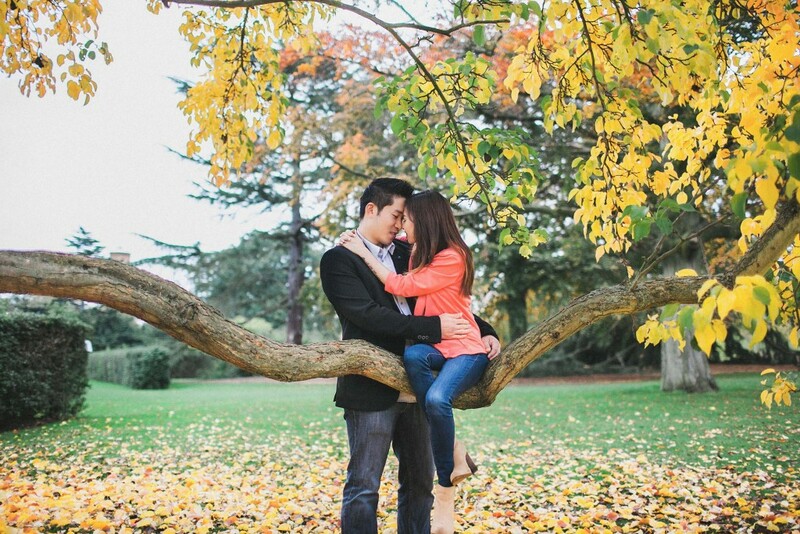 I personally prefer to say that I give people directions but only in an attempt to bring out how they truly are naturally. 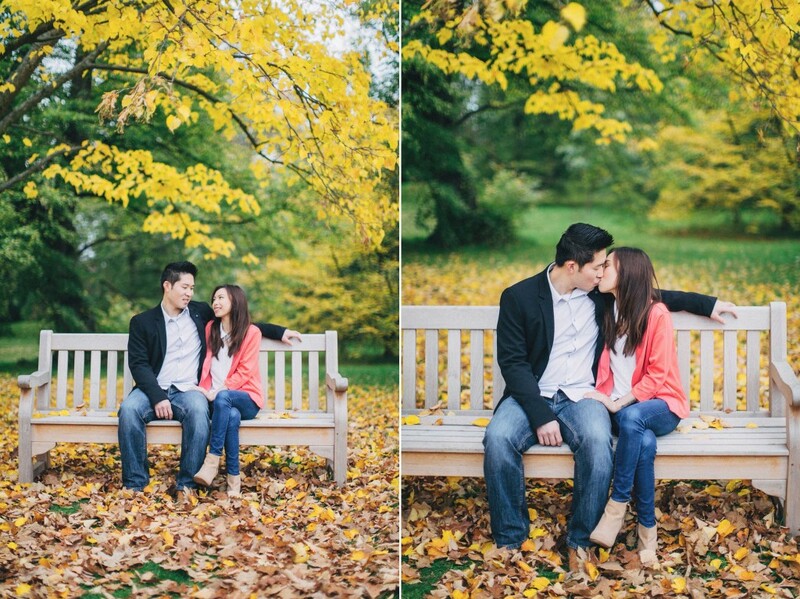 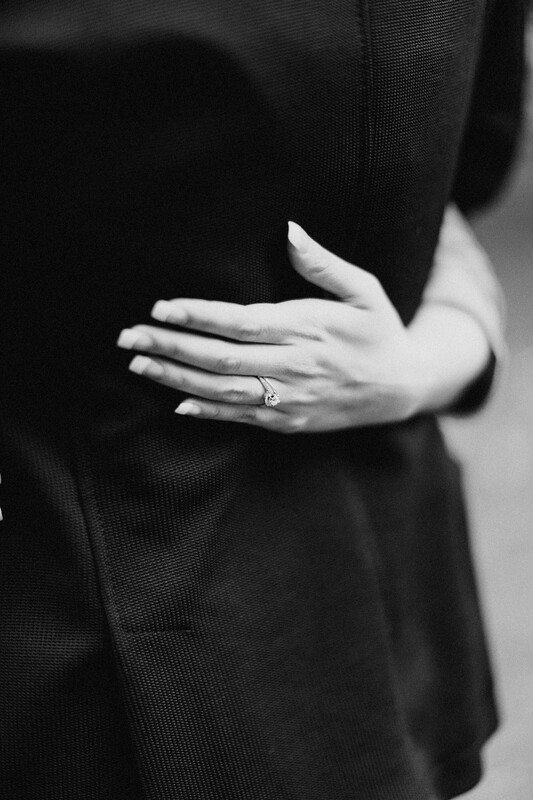 Both Katie and William had such great chemistry that made my job with direction and photography very smooth and easy. 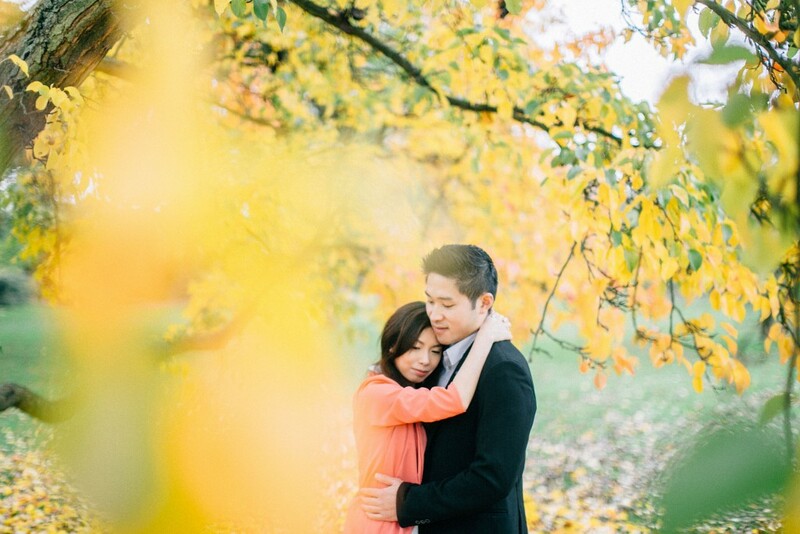 Very natural and great control over all the different colours going on, you always prioritize the skin tone in a lovely way without compromising on the scene either. 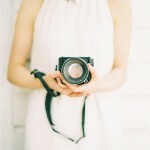 These photos hold so much emotion and vibrancy radiating from them.